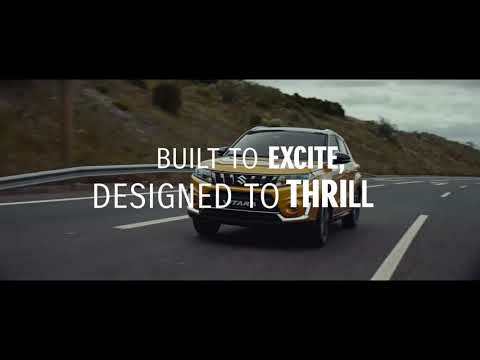 The Suzuki Vitara built to excite, designed to thrill, and waiting for you to rediscover a new way to play. With its strong SUV styling, the Vitara has the bold good looks to stand out on the streets and fit in on toughest of conditions. But we didn’t stop there, because it’s also got the powerful performance to match its rugged design. That’s thanks to our efficient Boosterjet turbocharged engine, which when combined with the ALLGRIP 4-wheel Drive system, gives the Vitara the power to adapt to any challenge it meets. It really is made for adventure. Limitations. They’re not really fun, are they? Well at Suzuki, we don’t believe in them. That’s why we’ve developed our unique ALLGRIP 4-wheel Drive system *. With ALLGRIP, you can truly take control of the road, adapting to any condition, whether it’s rain, snow or rough terrain. So the only limitation you have when you’re driving the Vitara is your own imagination. At Suzuki, we don’t do boring. We do thrilling. We do exciting. We do fun. Here is the chance to add some colour to your world, as the Vitara really is a showstopper. Coming in a range of single and two tone options to choose from. With it's strong SUV styling, coupled with compact dimensions of the car, giving you the edge to turn heads in the city.